www.drivethedeal.com has some excellent deals on brand new Citroens all supplied by UK main dealers, Prices include road tax and delivery to your door is free. With savings of as much as £7000, these deals are not to be missed. The quoted prices include a £600 discount which is conditional upon you taking out "Elect 3" PCP finance at 9.9% APR Representative arranged by the dealer. If you do not wish to take out this finance then you will need to add £600 to the price that we quote. The quoted prices include a £500 discount which is conditional upon you taking out "Elect 3" PCP finance at 9.9% APR Representative arranged by the dealer. If you do not wish to take out this finance then you will need to add £500 to the price that we quote. The quoted prices include £1,500 discount which is conditional upon you taking out "Elect 3" PCP finance arranged by the dealer. If you do not wish to take out this finance then you will need to add £1,500 to the prices that we quote. The quoted prices include a £1,000 discount which is conditional upon you taking out "Elect 3" PCP finance at 9.9% APR Representative arranged by the dealer. If you do not wish to take out this finance then you will need to add £1,000 to the price that we quote. The quoted prices include £2,740 discount on DStyle and £3,240 discount on DSport models. This discount is conditional upon you taking out "Elect 3" PCP finance at 9.9% APR Representative arranged by the dealer. If you do not wish to take out this finance then you will need to add £2,740 or £3,240 respectively to the prices that we quote. The quoted prices include a £1,000 discount which is conditional upon you taking out "Elect 3" PCP finance at 6.9% APR Representative arranged by the dealer. If you do not wish to take out this finance then you will need to add £1,000 to the price that we quote. 1. "Elect 3" PCP finance at 6.9% APR Representative up to 36 months with 15% minimum deposit (DS3 and DS4 models). 2. "Elect 3" PCP finance at 6.9% APR Representative up to 36 months with 35% minimum deposit (DS5 models). 3. "Elect 3" PCP finance at 9.9% APR Representative up to 36 months with 15% minimum deposit (C3, C3 Picasso & C4 models). 4. "Elect 3" PCP finance at 9.9% APR Representative up to 36 months with 35% minimum deposit (C4 Picasso, C4 Grand Picasso and C5 models). 5. "Elect 3" PCP finance at 0% APR Representative up to 24 months with 10% minimum deposit and One year's FREE insurance (C3 and C3 Picasso models). 6. "Elect 3" PCP finance at 10.9% APR Representative up to 36 months with 15% minimum deposit and One year's FREE insurance (C1 VTR model only). 7. Hire Purchase finance at 0% APR Representative up to 36 months with 30% minimum deposit (C3, C3 Picasso, DS3, Berlingo Multispace, C4 Picasso and C4 Grand Picasso models). 8. Hire Purchase finance at 0% APR Representative up to 36 months with no minimum deposit (C4, DS4 and DS5 models). 9. Hire Purchase finance at 0% APR Representative up to 48 months with 20% minimum deposit (C4, DS4 and DS5 models). 10. Hire Purchase finance at 0% APR Representative up to 48 months with 40% minimum deposit (C3, C3 Picasso, C4 Picasso and C4 Grand Picasso models). The dealer that we put you in touch with will arrange the finance if required. Subject to Status. Written quote available on request. 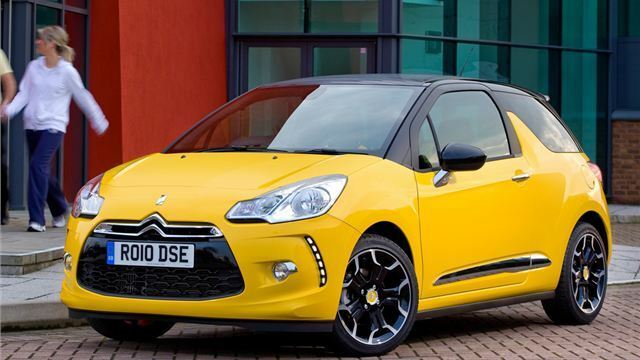 # Please note there is a FREE 3 years/35,000 miles servicing plan available on DS3, DS4 and DS5 models. >The quoted prices include a £1,000 discount which is conditional upon you being the registered keeper of any Xsara Picasso model. If this does not apply to you then please add £1,000 to the prices that we quote. >>Please note that prices on all models include a £600 discount which is only available for customers who currently do not own a Citroen. If this does not apply to you, then please add £600 to the prices that we quote. Visit Drive the Deal for more information on these deals and others.